For the third year in a row I took part in Global Games Jam 2014 at Staffordshire University. Going back to Stafford it was great fun to meet up with and work with everyone from Uni again and get to know new people! Our team of five this year created the game Spy Vision, a mobile game for Android devices. 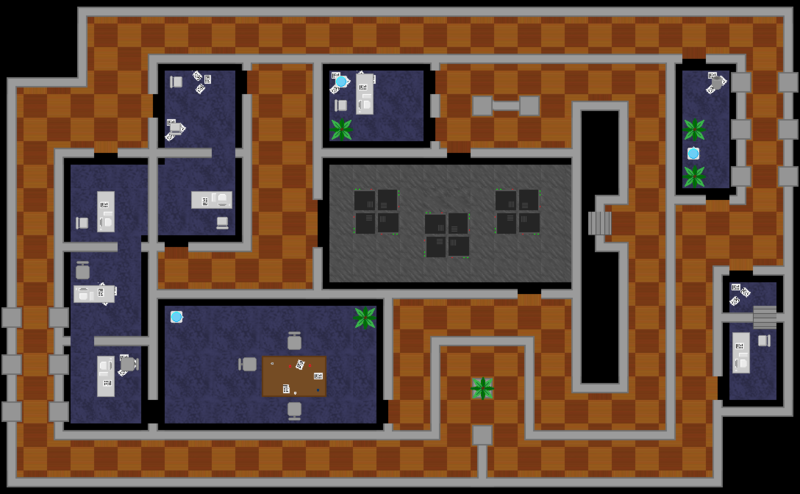 You control a character having to infiltrate a secret government building. You can see the building through all of its different security systems, infrared, motion detection, frequency detection and human guards. To play the game tap the screen to move the character avoiding the different security systems. Use the buttons on the right to view the different security systems. The link with instillation instructions for mobile can be found below. This image is the current second level of the game.